If you’ve been glued to the screen watching the 2016 Olympic Games in Rio, then you’re not alone. The medals are coming in thick and fast for Team GB with many Scottish athletes contributing to the total tally, bringing home amazing sporting memories from Brazil, and making us burst with pride. Scotland’s largest mountains, each measuring over a lofty 3000 ft, are the perfect place to channel your inner endurance athlete and push your fitness to the limit. There are 282 to choose from, so start now and make your way to the top ahead of the rest of the field! During the Games, a solid team effort is absolutely essential and one sport which requires gritty determination and togetherness is shinty. A sport that has been played in the Highlands for many generations, it is not for the faint-hearted and is even thought to originate from warriors training for battle. A sport that combines precision, skill and aim, you can start honing your skills on the lochs, rivers and coastlines of Scotland. 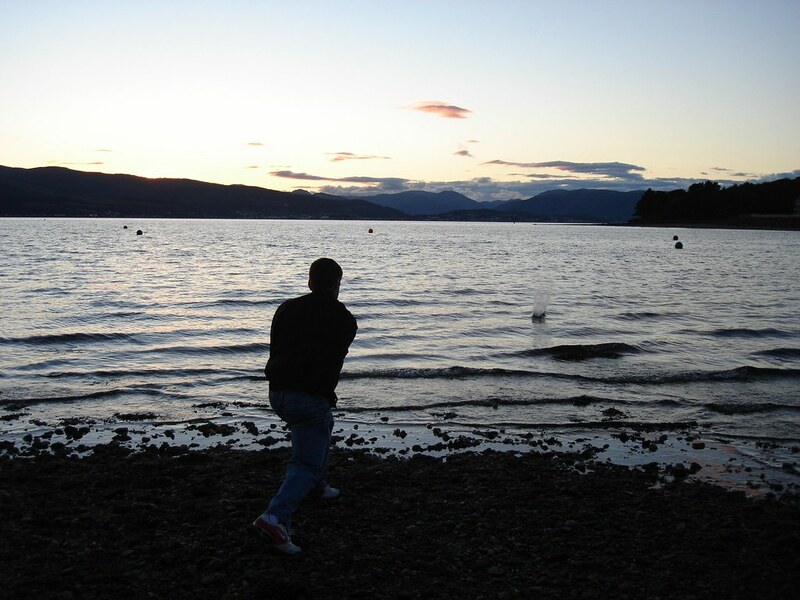 The World Stone Skimming Championships are always a hotly-anticipated event, held every year on the last Sunday in September in Easdale Island, near Oban. See if you can skim your way onto the podium and win a coveted medal made from locally-sourced slate. Football may already be an Olympic sport, but in Orkney, the rules are a little different. The Kirkwall Ba’ is a high-octane football game played out on the streets of the Orkney capital every festive season, on Christmas Day and New Year’s Day. Starting in Broad Street, two teams challenge each other for possession of the coveted ba’, a hand-made leather ball filled with cork. The goals are on opposite ends of the town and the first team to touch their goal with the ba’ wins. Watching the gymnastics at this year’s Olympic Games has been truly mesmerising, and we think Highland dancing comes pretty close with its enticing combination of poise, rhythm and stamina. Whether it’s the Highland Fling or the Sword Dance, you can watch intricate dances performed at several Highland games across the country, by dancers from all over the world. A sport which is slightly reminiscent of the javelin, caber tossing is another show of sheer strength. Athletes launch huge and heavy wooden cabers up into the air so that they turn end over end. The main difference between tossing the caber and other Olympic sports is that competitors have to wear a kilt at all times, and the distance the caber is thrown is irrelevant. A handy way to settle any decision or argument, the tug o’ war has been played for centuries. Two teams are pitted against each other to try a haul a piece of rope in opposite directions. It is a true highlight of any Highland games, but did you know it was also a sport in the Summer Olympics from 1900-1920? Olympic athletes always need follow a healthy diet to perform to their fullest potential. In Scotland, porridge is at the heart of a nutritious, balanced lifestyle, because it is bursting with satisfying oaty breakfast goodness. In fact, the art of porridge making is considered a sport and every autumn, the Highland village of Carrbridge hosts competitors from all over the world to test their prowess in the kitchen, in hopes of winning the legendary ‘golden spurtle’. Yes, we all know that haggis is another absolutely delicious treat, but did you also know that Scotland’s national dish can be part of special Scottish sport? Whoever hurls the haggis the furthest, wins. It’s simple. Prepare for the competition by sampling the traditional dish in some of Scotland’s restaurants. If you’re looking for a uniquely Scottish sport to watch this summer, there are many more Highland games coming up across Scotland until the end of September. Have you been getting active this summer? Share your photos with us using #ScotSpirit. Cheer loudly with us for Team GB, as we watch the rest of the Olympic Games in Rio unfold!